Every year the managing board of HEINEKEN International is having a special event where new strategy are being presented. In previous years we made video’s for the events in Singapore and Vienna. And now for Berlin. Obviously we had to something with the iconic car the ‘Trabant’. We totally redecorated the car and tuned it with all kinds of technical gadgets. 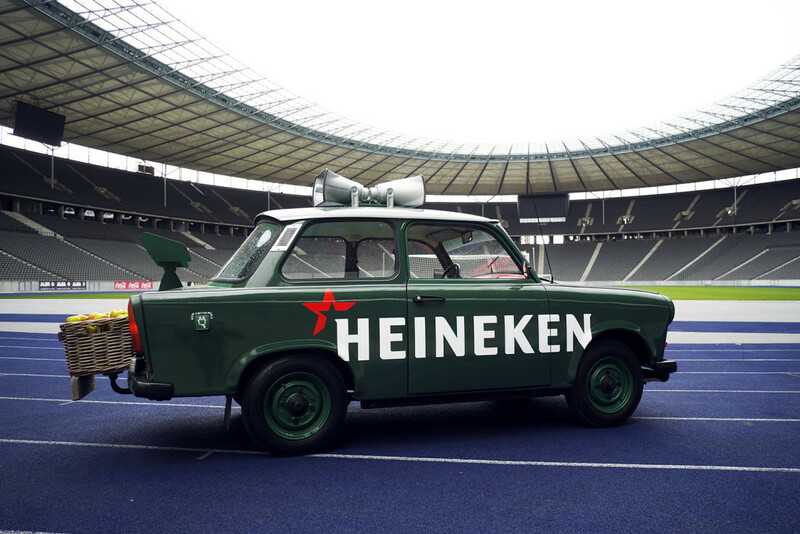 We cruised all over Berlin and even had the opportunity to drive it into the Olympic Stadium in Berlin. The location of the Chamions Leaugue Final.